Hypochondria has its unsung benefits: There are people who pretend to be sick just to have an excuse to drink hot toddies. I suspect there are also individuals who visit ski resorts for the same reason, although this seems to be an expensive and unnecessary course; better to just take to your bed and feign a hacking cough. While there’s no evidence that Baron Munchhausen was a fan of the drink, these concoctions have been around for a very long time. 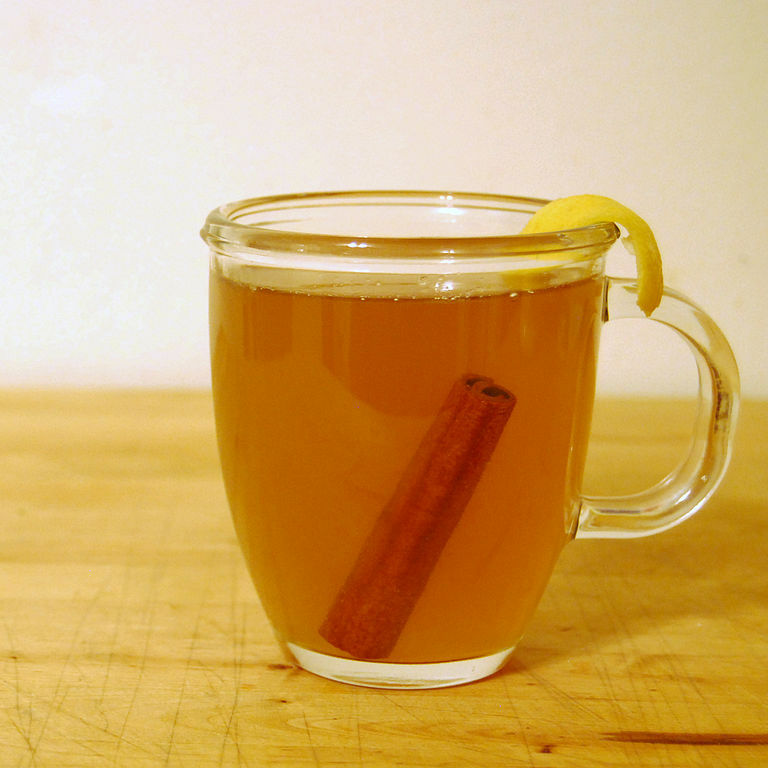 Like many other drinks in the annals of alcohol, the origin of the hot toddy is unclear and everyone claims to have invented it. There was a toddy in India as early as the 17th century, when the term used to describe the fermented sap of the local coconut tree. From there, it’s plausible to assume that the drink migrated to the British Isles. In Allan Ramsey’s 1721 poem The Morning Interview, he refers to water coming from the Todian Spring, or Tod’s Well, which apparently was the water source for the city of Edinburgh; since water is a key ingredient in both whiskey and hot toddies, this may have been a play on words. By the 18th century the practice of diluting Scotch whiskey with hot water was a common one, since it helped mask the strong aroma and flavor of peat in the early malts. Regardless of which story you accept, the components of a classic hot toddy are spirits, hot water, lemon juice, and sugar or honey. There’s no actual proof that it helps people suffering from colds or flu. In fact, the American Lung Association warns against consuming alcohol when sick, because it causes dehydration (what do they know?). 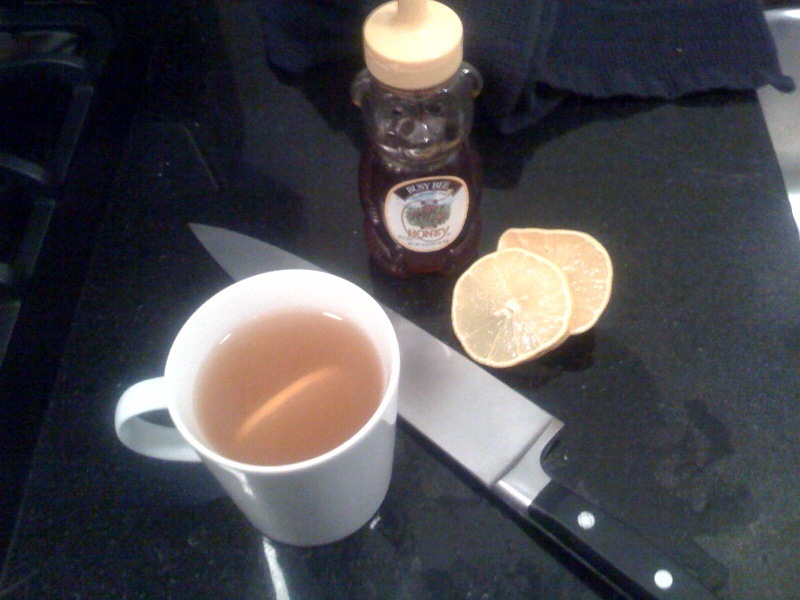 Still, you can make a case for the presence of Vitamin C, as well as the soothing effects of honey and hot water. My advice is not to worry about dehydration unless you’re traveling through the desert on a camel, but of course I’m not a physician. Since the toddy only has four major components, the quality of the ingredients is crucial. Use only freshly squeezed lemon juice, if you want to maintain the pretense of adding Vitamin C. Supermarket honey will do in a pinch; however, if you’re not on your deathbed and have time to shop around, look for artisan honey with a low water content. The choice of spirits is controversial: Scotch is traditional, rum is popular, and Bourbon is the choice of many---although its dramatic flavors will likely change the drink’s balance. In the end, use what you like. The preparation is hardly rocket science. Cut a lemon into eighths; squeeze a section into the bottom of your mug, or muddle it if you like. Add two ounces of honey, two ounces of your preferred spirit, and four ounces of hot water. Use your remaining energy to stir. Spices to taste: cinnamon, nutmeg, allspice, etc. Put the butter, sugar and spices at the bottom of a mug; mix well or muddle. Add the rum, and pour in the hot water. Pour the whisky into a cup and add boiling water, add the sugar and lemon juice, steep for several minutes, and drink as hot as possible.